Lucia Koch will be featured in the Pacific Standard Time: LA/LA exhibition Condemned To Be Modern at Los Angeles Municipal Art Gallery. 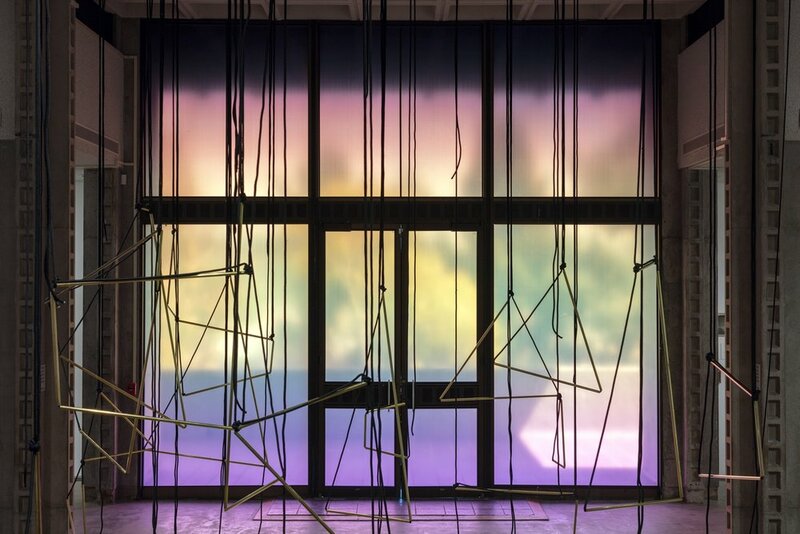 Koch will present two installations for the exhibition, a color gradient installed on the windows of the gallery and a light correction piece installed on the lamps in Barnsdall Art Park. The artists in the exhibition explore the connection of modernist architecture with political ideologies, social values, and contemporary reality, engendering dialogue about the role of government and public policy in the development, preservation and use of the built environment. Condemned To Be Modern brings together the work of 21 contemporary artists who have responded critically to the history of modernist architecture in Latin America. In works produced during the last two decades, these artists explore the effects, contradictions, and contested legacies of modernism in Brazil, Cuba, and Mexico as expressed through ambitious construction of government buildings, public housing, universities, and even new cities during moments of radical political and social change. The architecture and urban planning of these moments continue to serve as critical reference points for artists including Eduardo Abaora (Mexico), Jonathas de Andrade (Brazil), Leonor Antunes (Portugal/Germany), Alexander Apostol (Venezuela/Spain), Felipe Dulzaides (Cuba), Melanie Smith (Mexico), and Clarissa Tossin (Brazil/Los Angeles). Together, these artists provide a sociological exploration that connects architecture with political ideologies, social values, and contemporary reality, while engendering dialogue about the role of government and public policy on the development, preservation, and use of the built environment. Condemned To Be Modern is curated by guest curator Clara Kim of the Tate Modern. The exhibition will open with a public reception on September 10 from 2:00 to 5:00 p.m. and will be on view through January 28, 2018.